For the parent who is considering the option of homeschooling their child, the initial decision of selecting a homeschooling method may prove to be a challenging one. There are many selections to choose from when it comes to homeschooling styles. If you are one of these parents, the choice of methods for educating your child at home will depend on many different factors. These factors depend on your values, beliefs, goals, the learning style of your child, and numerous other factors. 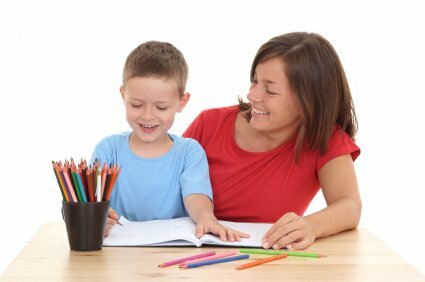 Here, we will review the many homeschooling methods that you can elect to use. The first style of homeschooling that is quickly becoming quite popular among many parents is that which is considered to be public virtual school. The reason that many families select this option is that the school is funded by the federal government. This means that the parent has little or no costs when it comes to the curriculum, and a lot of the supplies. In many public virtual school settings, such as that offered by The Connections Academy, parents are issued a computer, printer, the curriculum, as well as an internet subsidy check every few months. The public virtual school is a system in which there is a set curriculum put into place for the student. The parents simply log on to a learning management system and the courses are carefully outlined per the standards of the State in which the family resides. The parent is responsible for keeping records, turning in assignments as requested by the educational institution that offers the public virtual school courses, and may be required to contact the teacher on occasion to discuss the progression of the student. For parents on a limited income who want to take an active part in the education of their child, this is a great option. Unschooling is the homeschooling method of the millennium. This particular educational choice focuses on lessons that entail the interest of the child. The family that elects to implement this form of homeschooling is in for a very unique educational experience. The children are not forced to complete lessons as the traditional homeschooler is required to do. They are not coerced into tackling numerous assignments, or set on a particular schedule. Furthermore, testing is not implemented in this form of homeschooling either. Children are actually allowed to learn based on their hobbies, interests, and more. Parents are receptive to the capability of the mind to reach out to new educational quests. Parents who use this method of homeschooling generally feel that the traditional, book-led course of study in the classrooms around the world are exceptionally rigid and lose focus on the child as an individual. They feel that children should be able to explore the world around them at their own pace, and by their own rules. 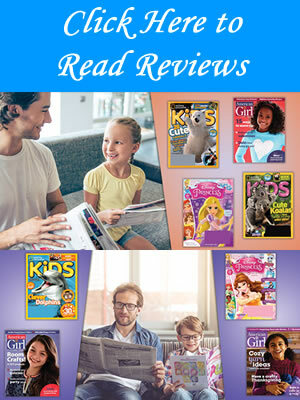 The Charlotte Mason method in homeschooling is another popular selection when it comes to choosing homeschooling styles. Charlotte Mason is a well-recognized historical figure when it comes to educating children. Her methods of teaching include those techniques that allow children to learn based on hands-on experiences and real life situations. Using this method of homeschooling, it is not uncommon to find a child cooking in the kitchen in order to gain experience in measurements and fractions. Children who are studying trees would venture out from the “classroom” setting and plant a tree and learn to care for it to better understand the process. Many parents may elect to use either the traditional homeschool method and/or the unit study homeschool method. The traditional method promotes the use of basic textbooks and activities as used by peers in public and private educational institutions. Many times, a “classroom” is set up in the home to reflect the similarities between that and the traditional classroom. The unit study homeschool method often breaks down various lessons into “units” and then tasks are performed in order to develop knowledge in each task. For example, a science lesson on seasons can incorporate vocabulary related to the theme, art lessons, reading lessons, and social studies all in one. The Montessori homeschooling method is much like the Unschooling method previously mentioned. The only difference is that the child is mildly persuaded to focus on particular areas. This is done by the parent providing certain tools for learning to spark the inquisitive nature of the child. Perhaps the child must learn fractions. The parent may work with the child to make a homemade pizza, and then encourage that child to break down the pizza into smaller parts. From there, the child will quickly adapt to the studies on measurement and fractions. Many families choose to use a wide variety of homeschooling methods. It all depends on the learning style of the child. Some children are auditory learners. This means that they learn best by listening. Some children are visual learners. This means that they learn best by sight. Other children are kinesthetic, or tactile, learners. This means that they learn best by “doing”. Many children run with all three learning styles. In order to maximize the potential of your child’s success, you must determine the learning style of the individual. Once this is established, choosing a homeschooling method is a breeze! 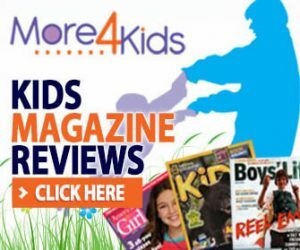 I appreciate this article as a tool for families just beginning to research the homeschooling methods available to them. I might note, though, that the summary of Charlotte Mason's approach was not very representative. I know the author had to fit CM into one paragraph, which is difficult to do with any approach, but "real life experiences" are not the backbone of a Charlotte Mason education. Ideas are. Big, vibrant, vital IDEAS. In a CM education, books and things are set before the child like a banquet of food for his mind. This is not done willy nilly, however. Miss Mason used a specific and detailed curriculum in her schools each term, and CM homeschoolers do the same today. The CM method is rich in vital ideas and challenging coursework. I do appreciate, though, your efforts to make her better known to homeschoolers just starting out.